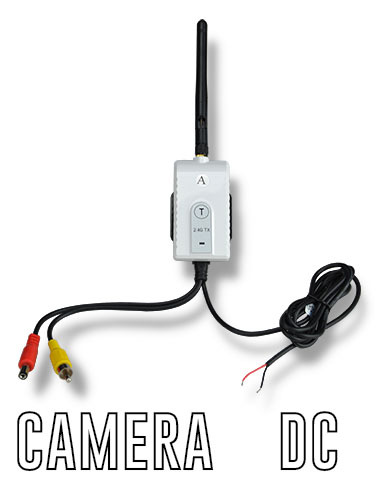 Our video transmitters can be used to convert analog hardwired camera in wireless camera. These wireless kits work on 2.4 GHz band which is free to be used for private data transmission. You can connect this kits to any analog camera to convert it in a wireless camera. 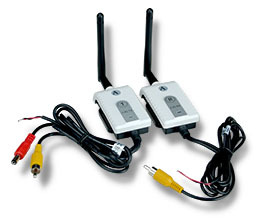 These wireless kits include transmitter and receiver. 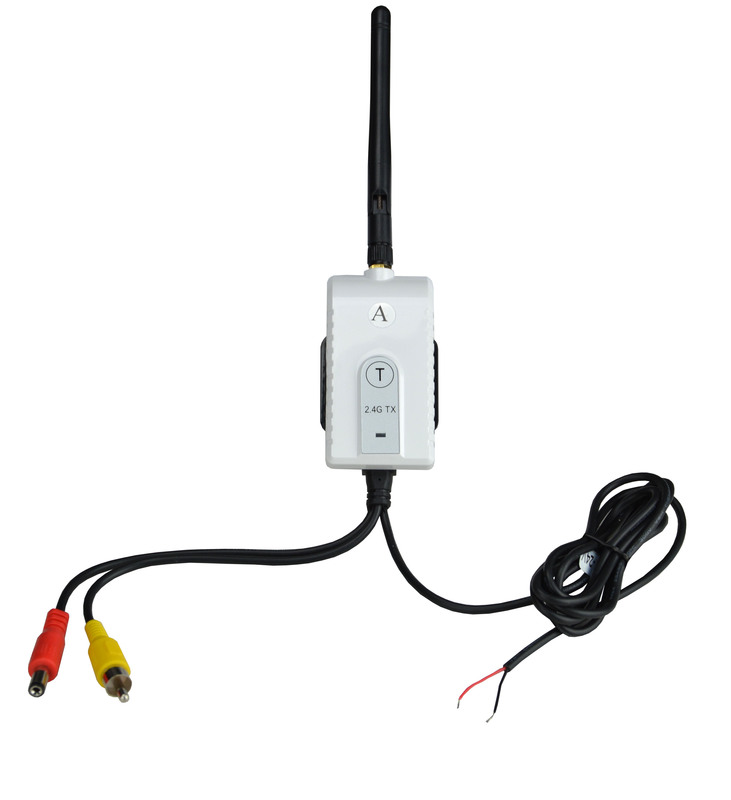 The transmitter module must be connected to the camera using the cable included while the receiver is placed closed to the monitor or DVR. Transmitter and receiver are supplied already paired by factory so no operation is required to make them work together. The transmitter is usually placed near the camera, but it can also be installed not so closed if this means avoiding obstacles and improving signal reception. You can use up to 3 transmitters and receivers in one place. Each kit is supplied paired by factory so no setting is required on site. Transmission range up to 100/150 m.
The maximum operating distance between transmitter and receiver is 100 or 150 m. in open air line-of-sight according to model (see table below). The presence of obstacles between the antennas effect the range dramatically, therefore it is recommended to reduce the number of obstacles as much as possible and in any case not to exceed 3/4 walls.